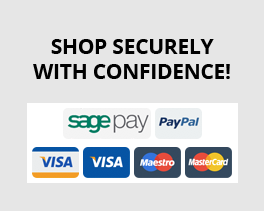 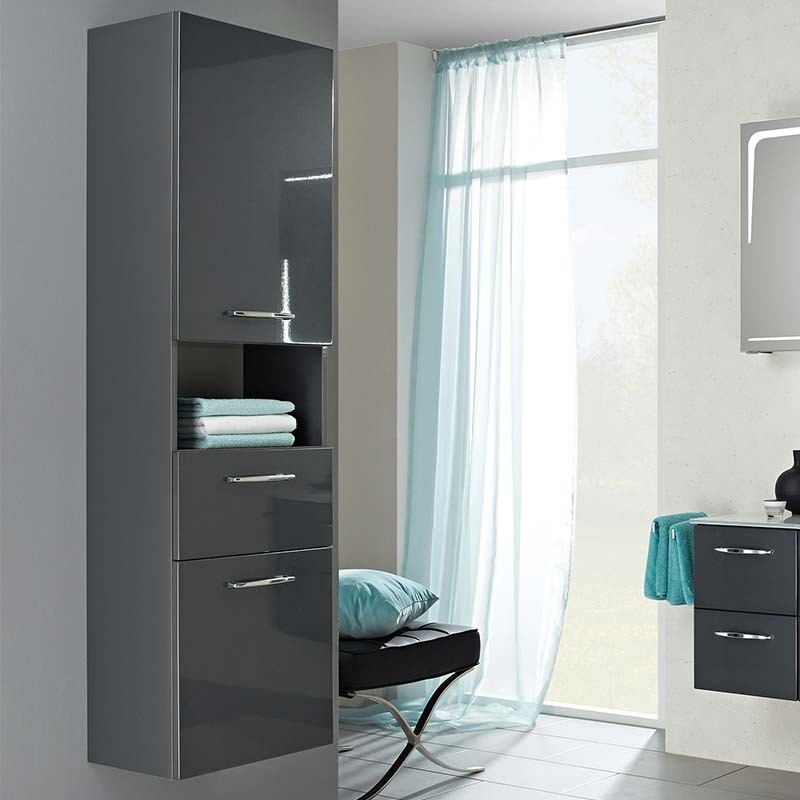 Heighten the allure in your bathroom space without compromising on the level of practicality that you are in need of and opt for the Solitaire 2 Door 1 Drawer 7005 Bathroom Tall Boy. 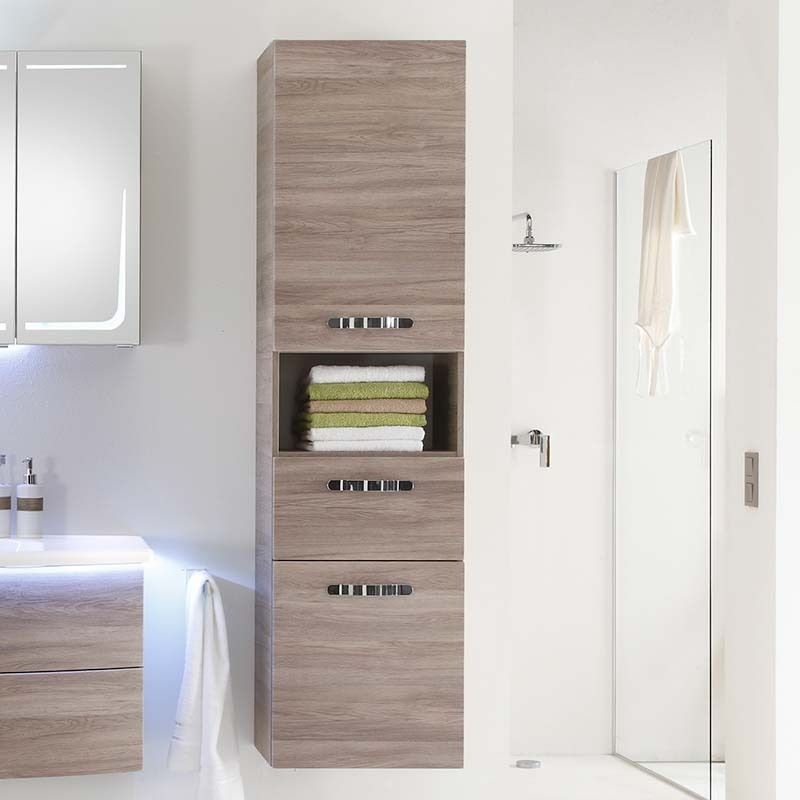 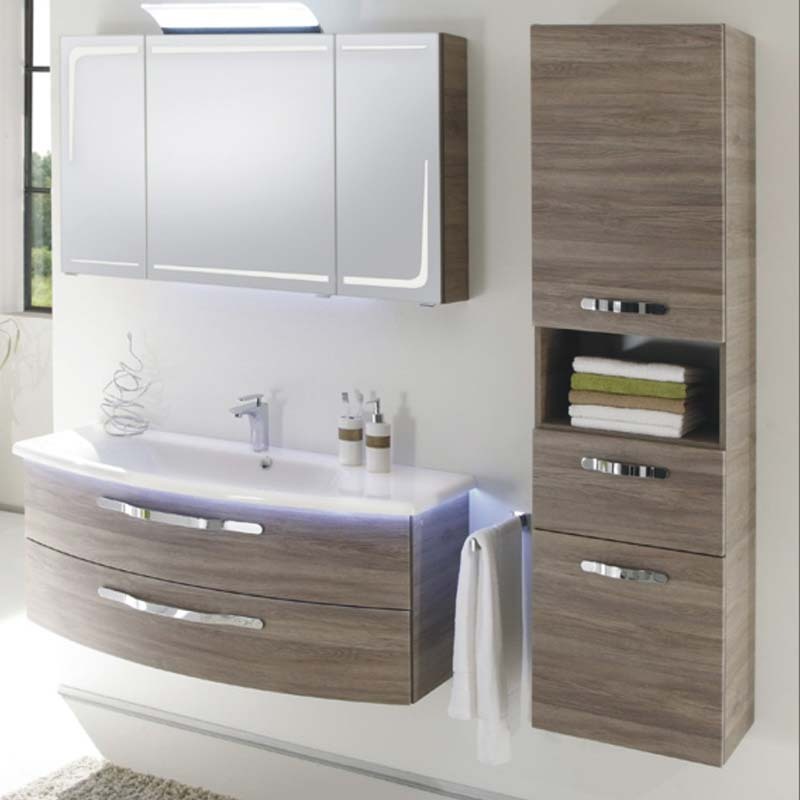 Masterfully crafted in Germany, this Pelipal item of bathroom furniture is equipped with one open shelf plus three glass shelves for your ease of storage. 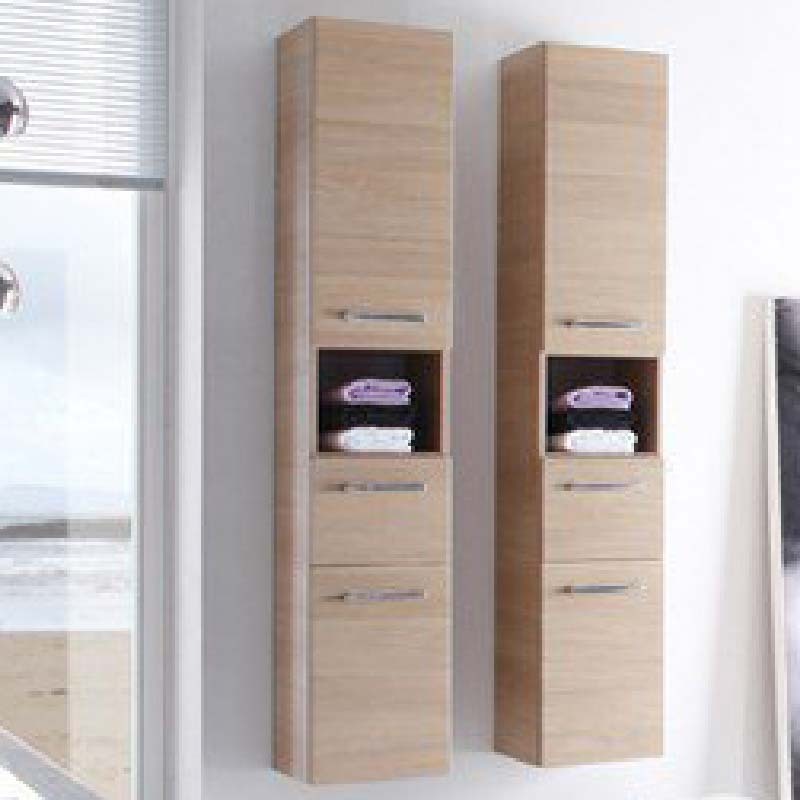 To ensure that this tall boy does not clash with your bathroom decor, its front and carcass are available in a range of colours.